Investing in project management software is a big decision, even if you’re using a platform as cost-effective as Gryffin. As a business owner or executive, it’s important you always complete your due diligence, researching various platforms to ensure their quality. 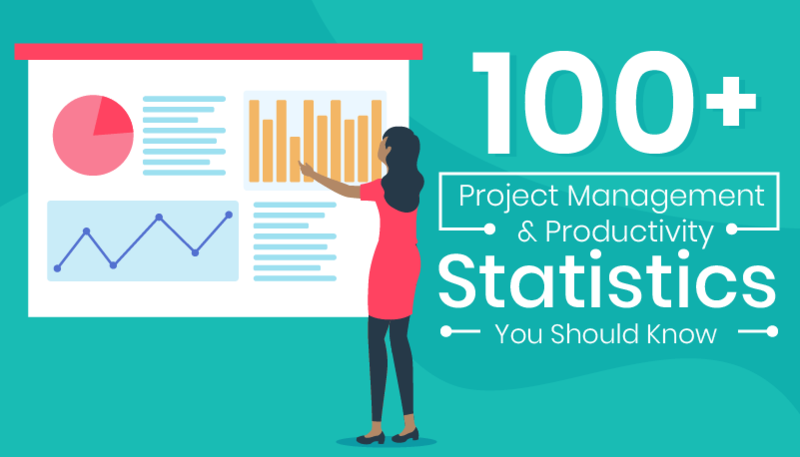 It’s to that end that we decided to compile a list of more than 100 valuable project management and productivity statistics you should know, organized into various categories for your convenience. 1. Project-oriented industries will contribute up to $20.7 trillion to global GDP by 2027. 2. A project management talent shortage may result in a loss of $208 billion in GDP. 3. Project management jobs grew explosively in the past ten years. In 2008, PMI estimated 52.4 million project management jobs, but in 2017, it was already 65.9 million. 4. Project management job growth will increase by 33 percent by 2027. 5. The leading sectors for projected job growth centered on project management roles include manufacturing and construction (9.7 million new jobs), information services and publishing (5.5 million), finance and insurance (4.6 million), and management and professional services (1.7 million). 6. China is leading the world in project management growth, with 34.9 million related jobs today. India comes in second with 14.7 million jobs, while the United States is in third place with 6.7 million jobs. 7. China also stands to lose the most GDP as a result of its project management talent gap, with $121 billion threatened by slow project management role fulfillment. 8. Project management professionals in finance and insurance are the most highly compensated, earning $114,000 to $144,000 on average. PMPs in staffing and consulting come in second, earning $111,000 to $121,000. 9. Salaries for project management professionals with a decade’s worth of experience tend to break into the six-figure weight class the most, though some with five to ten years of experience pull it off as well. 10. Acquiring project management certification tends to improve their salaries, from $55,000 to $65,000 up to $85,000 to $88,000. 11. Project Management roles are paying the bills with an average base salary of $75,474 per year. 12. 85 percent of organizations surveyed in 2017 reported having a project management office (PMO), which is up from 71 percent in 2016…. 13. …but only 52 percent reported having a PMO strategy. 14. 36 percent predicted rising PMO resources in the future. 15. 54 percent predicted an increase in scope and responsibilities. 17. 66 percent of project schedules are baselined. 18. The biggest challenges of project management include poorly trained project managers, too many projects running at once, lack of senior management support, poor resource management, and poorly trained project sponsors. 19. Only 33 percent agreed their PMO objectives were clear. 20. 50 percent of project management offices close within three years of opening. 21. The PMO implementation failure rate is over 50 percent. 22. 68 percent of stakeholders believe their PMOs are bureaucratic. 23. 75 percent of business and IT teams believe their projects are always or usually “doomed right from the start,” despite having otherwise positive attitudes toward projects and requirement processes. 25. 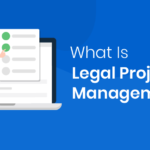 In all, about 41 percent of projects that fail do so because of shifting priorities… the sort of issue that could be avoided with stronger project management. 26. And yet, many organizations still aren’t receptive to change, with only 12 percent saying they’d invest in technology to better enable project success. 27. 53 percent of companies say their desires to innovate have helped them improve their agility in the past five years. 28. More disparaging is that three out of four respondents say their employers aren’t giving them adequate access to the latest technology they need to do a good, efficient job. 29. A 2013 CHAOS Research survey concluded that 39 percent of projects succeeded; they were delivered on time and on budget with required features and functions. 31. … and 18 percent of projects failed, meaning they were either canceled or delivered but never used. 33. Success rates naturally improve with smaller projects. 78 percent of projects are reported as being successful at smaller scales, while 20 percent are considered challenged and only 2 percent are considered failed. 34. Generally speaking, 99 percent say it’s somewhat difficult (27 percent), difficult (53 percent), or very difficult (19 percent) to contain a project in scope. Only 1 percent of respondents said it wasn’t difficult. 35. 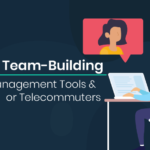 Poor communication—a problem easily resolved using even the most basic features of project management software—is seen by 59 percent of respondents as being their team’s biggest obstacle. 36. And compounding that issue further is the fact that 78 percent of respondents don’t fully trust their teammates. 37. Still, 50 percent of respondents say they’re motivated more by their team’s successes than the companies, or even their own individual success. 38. And 56 percent say they’re more confident working as a part of a team rather than working individually. 39. 75 percent of job success is measured by how you connect with other people. 40. The number one contributor to workplace happiness is possessing a sense of belonging in a team. 41. “Lake Wobegon Effect” is pretty strong in the United States, where workers believe they’re 11 percent more productive than their actual productivity estimate. 42. Stress is rampant in the US, with 75 percent of respondents saying stress is their top health and productivity concern. 43. Nearly half of workers feel they’re overworked, and that’s motivating them to look for a new job. 45. … but only 35 percent actually have access to them. 46. Inadequate staffing was the sole common factor contributing to stress. 47. Employers consider technologies that expand availability to be a major contributor to stress, though most employees disagree. Of the 12 factors named, tech ranked in twelfth place. 48. Employees like to handle their stress themselves; nearly half don’t want their employer having access to their personal health information, and nearly one-third “don’t trust” employers when it comes to health. 49. Only one out of every five employees will seek external or professional help to manage their stress or utilize services provided by employers. 50. A lack of sleep is costing the US economy as much as $411 billion per year and 1.23 million working days. 51. Workers do have a chance to fix these issues though, as nearly 60 percent of respondents say they have a voice at work. 52. Many working professionals—74 percent—say they’re ready to learn new skills in order to stay employable in the future. 54. … Despite experts saying human-like AI will emerge within five to ten years. 55. Meanwhile, 37 percent say they’re worried about automation putting their jobs at risk. 57. Would you turn yourself into a cyborg to be better at your job? Because 70 percent of survey respondents said they’d consider using treatments to enhance their brain and body if it improved their future employment prospects. 58. 39 percent of respondents say they’re using some form of AI in their workplace already. 59. 87 percent believe AI is going to change their job by 2020. 60. And 76 percent admit that a robot, algorithm, AI, device, or other technology could replace some or half of their job for them. Well, for their employers anyway. 61. 29 percent believe effectiveness is AI’s strongest, biggest advantage. 62. 23 percent of respondents said AI will challenge them to improve their own quality of work. 63. 85 percent of respondents say AI will have a significant impact on how they do business in the next five years. 64. 83 percent of senior executives believe their organizations fully understand the value of project management. 66. … And 75 percent of executives say investing in technology to improve project success is a somewhat high or very high priority. 67. 38 percent believe confusion surrounding team roles and responsibilities are the biggest barriers to success they face. 68. A 2012 Gallup study concluded that employees who work remotely are less engaged than workers who head into the office every day, but these numbers changed in 2017 … not surprisingly increasing in lock step with the growth in the prevalence of project management software. 69. Employees who work remotely 60 percent to 80 percent of the time have the highest workplace engagement. 70. These workers are 31 percent more likely to say they make more progress in their workdays. 71. They’re also the most likely of all employees to strongly agree that someone at work cares about them as a person and that their development is encouraged. 72. Remote workers are most likely to believe their development and progress is encouraged, as well as saying they have the most opportunities to learn and grow. 73. On average, workers spend a mere 3 minutes on one task before switching to another. 74. It takes workers 26 minutes to recover from distractions. 75. 76 percent of workers avoid the office when they need to get important work done. 76. Average workers spend 3.2 hours per day checking work emails. This could be mitigated to some degree using project management software, where employees can keep their emails and their projects close at hand. 77. Workers spend 75 percent to 85 percent of their time going to meetings. 78. 50 percent of millenials can’t use the bathroom without refreshing their inbox. 79. 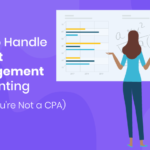 Companies not using project management software are wasting a cumulative $3.7 billion in salary costs on unnecessary meetings. 80. 47 percent of waking hours are lost to thinking about something other than what you’re doing. 81. Having an electronic device in front of you during a physical meeting makes you 50 percent more likely to make mistakes. 82. 98 percent of respondents realized success from agile project management. 83. And 94 percent of respondents’ organizations were practicing agile. 84. Agile is still an emerging field in the project management space, with 80 percent reporting being at or below a “still maturing” level. 85. Furthermore, 60 percent have less than half of their teams practicing agile. 86. 71 percent are investing in DevOps. 87. Respondents say the top three benefits of agile include managing changing priorities, increased team productivity, and improved project visibility. 88. What makes enterprise agility successful? 48 percent say it’s executive sponsorship, while second and third place respectively are consistent processes and practices (41 percent) and implementation of a common tool across teams (36 percent). 89. 69 percent said they’ve seen accelerated product delivery since adopting agile. 90. 61 percent said agile has enhanced their ability to manage changing priorities. 91. And 53 percent say agile has increased their productivity. 92. When agile fails, 63 percent of respondents blamed it on company philosophy or culture being at odds with core agile values. Lack of experience with agile methods (47 percent) and lack of management support (45 percent) came in second and third places, respectively. 94. A slight majority of respondents (56 percent) will end up sticking with the first project management system they buy. 95. … and 55 percent said they looked at only two platforms before making a final decision. 96. Most of those professionals who switch platforms do so because of a lack of necessary features. 97. Organizations often spend approximately $10,329 per year, or $861 per month, on project management software. 98. Most respondents (56 percent) say project management software is too expensive, which is the leading cause of their dissatisfaction with those platforms. 99. Project management software is most popular in manufacturing, healthcare, technology, construction, finance, software development, and business services. 100. Functionality, ease of use, price, and support are the most important factors involved in selecting project management software. 101. Amongst the most popular project management software features are file sharing, time tracking, email integration, Gantt charts, budgets/ invoicing, custom reporting, and cloud storage integration. 102. A large number of communications features, such as real-time chat, mobile access, social media integration, and video chat are also important, making communication in general the most important feature of project management software. 103. Respondents say the avenues most significantly improved by the use of PM software include team communication, final product quality, the number of projects on budget, the number of projects on time, and customer satisfaction. That’s several of the most important metrics there are… evidence that project management software gets its job done. 104. A moderately large majority (66 percent) of respondents say project management software improves communications with clients. 105. Most of those who use project management software say they’re “satisfied” (59 percent) or “very satisfied” (17 percent). 107. Manufacturers are increasingly turning to tech to improve their efficiency, with 56 percent turning to supply chain management, 52 percent focused on lean manufacturing, and 47 percent looking toward cloud computing or SaaS technology. 108. Manufacturers consider project costs (50 percent), hitting deadlines (45 percent), and sharing information (44 percent) as their top challenges. 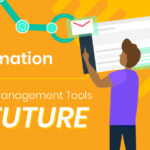 It’s pretty safe to say that regardless of which industry you belong to, project management software and online project management tools can be a serious gamechanger. From the smallest corner bodega to a billion-dollar big city hospital, there are numerous applications for project management software that will work for your business. As we showcased in the data we compiled above, it’s best to try multiple platforms before settling on one project management solution. And if you’re going to do that, why not give Gryffin a spin? 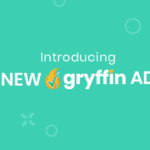 Gryffin in intuitive, easy to use, cost-effective, and loaded to the brim with excellent features including task management, workflow automation, project chat, calendar views, email integration, file sharing, scalability, billing, client management, and more. And it does it all a lot cheaper than the competition, too. Whatever project management solution you ultimately settle on, we hope these project management and productivity statistics help you make an informed decision. Because at the end of the day, efficiency is always going to win out over disorganization. And, with Gryffin in your toolbox, efficiency is very, very attainable.